Prince William and Kate Middleton welcomes baby boy with husband Prince William; Prince George and Princess Charlotte are now elder siblings! 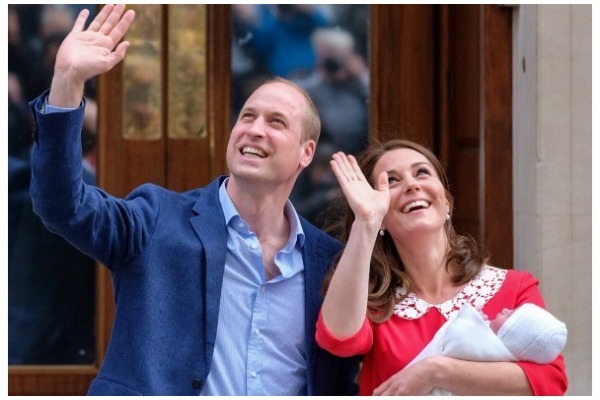 Social networking sites and media houses had been humming ever since Duchess of Cambridge, Kate Middleton got pregnant with her third child last September. As her delivery date drew closer, everybody worked overtime as Catherine went into early labour on Monday morning. She was rushed to the hospital in Paddington, London, where Princess Diana had given birth to Prince William and Prince Harry too. Earlier in the day, Kensington Palace posted an update on its official Twitter handle. It mentioned that Kate Middleton had been admitted to St. Mary’s Hospital at 6 am (UK time), where the member of the British royal family would welcome her third child with husband Prince William. 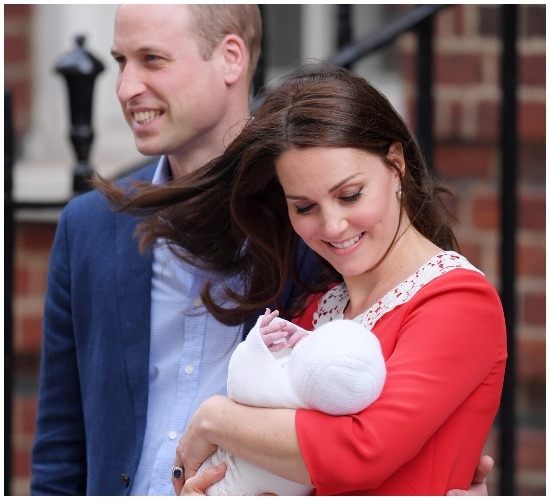 Kate Middleton, 36, who previously gave birth to Prince George and Princess Charlotte, was admitted to the same Lindo Wing of the hospital for the delivery of her new baby boy. Devoted fans of the royal family set up base outside the hospital, waiting for the news to break and to see the Duchess clutching her new baby in her arms. “The world’s media are gathered outside the Lindo Wing at St Mary’s Hospital ahead of the birth of The Duke and Duchess of Cambridge’s third child”, the official statement said. Kate Middleton delivered her third royal baby at 11.01am London time (8.01pm AEST) at St Mary’s Hospital in Paddington. The new member of the British royal family is the fifth to ascend the throne, after Prince Charles, Prince William, Prince George and Princess Charlotte, pushing Uncle Harry to the sixth position. After Kate Middleton delivered her third child, Prince William took Prince George and Princess Charlotte at St Mary’s to see their little brother. Just seven hours after giving birth to her third child, Kate Middleton(in heels) along with her husband Prince William and new born baby in her arms made a public appearance. The couple introduced their baby boy to the world. Prince William and Kate, Duchess of Cambridge wave as they hold their newborn son at St Mary’s Hospital in London. 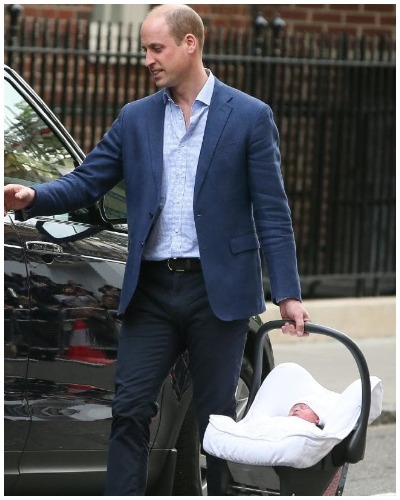 By evening, The Duchess of Cambridge was given discharge and Prince William was seen taking his new born baby to Kensington Palace. Duke and Duchess of Cambridge leave St Marys Hospital Lindo Wing after the birth of their third child. Recently, the Queen of England turned 92-years old which called for a bigger celebration, but Kate Middleton was seen missing for obvious reason. Few days earlier, Pippa Middelton, younger sister of Duchess of Cambridge, announced that she is pregnant which calls Middletons for a double celebration. 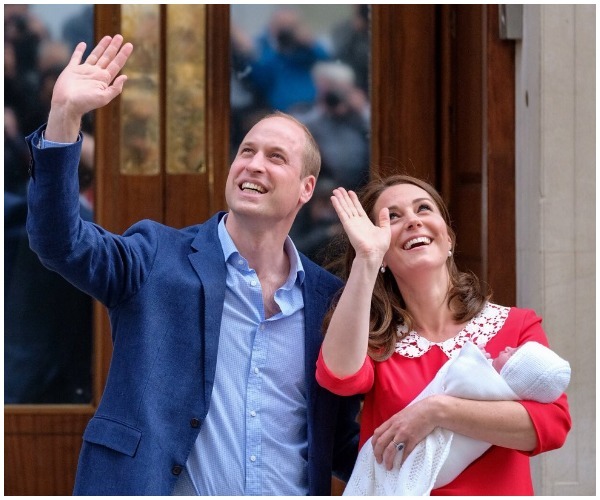 The Royal Palace is currently rejoicing with the arrival of new royal baby and is also busy with the wedding preparations of Prince Harry and Meghan Markle, who are set to tie the knot on May 19. Previous : Grammar Nazi In The Indian Society: The Nonsensical Tag Disguised As A Matter Of Proud!